My first job was at a pizza place and we sometimes made something similar to this dish. It’s super easy to make and the kids love it (I love it too!). They especially love the pepperoni part! 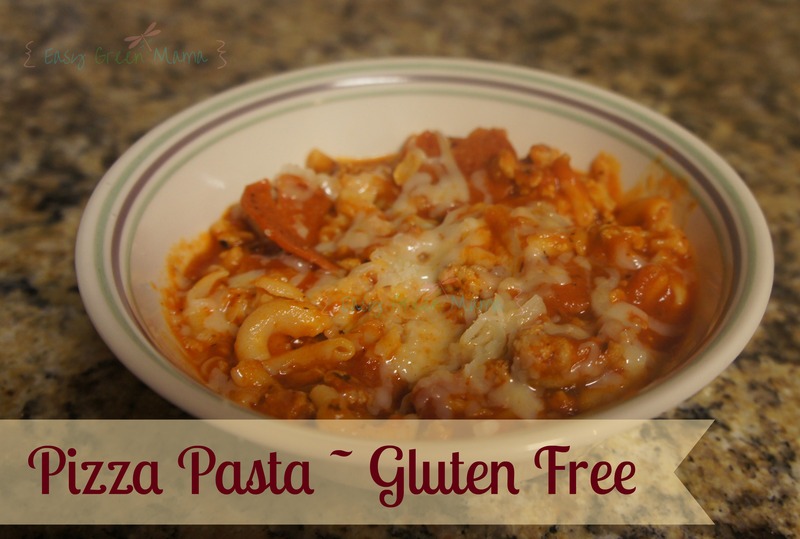 My son calls it the “Bonus!” You can easily make this gluten free or not gluten free. Just depends on the noodles you use. Easy meal to make and everyone is sure to love! Add sauce, water, and pepperonis to meat. Bring sauce to boil and turn down to simmer for 5-10 minutes. Boil water in separate pot and add noodles. Drain noodles and pour them into meat sauce. Sprinkle mozzarella on servings in bowl or plate if desired. This looks plain yummy, gluten or no gluten!